On Friday, I finally got my hair cut. Well, trimmed. It's that time of the year where I wish I wouldn't have cut bangs 6 months ago, wish I wouldn't have chopped it off 10 months ago, and wish it would just grow out. This cycle happens every year. And months later, every time, I end up wishing my hair was longer. But you'd be so proud of me - I resisted the urge this time. Onward to longer hair! 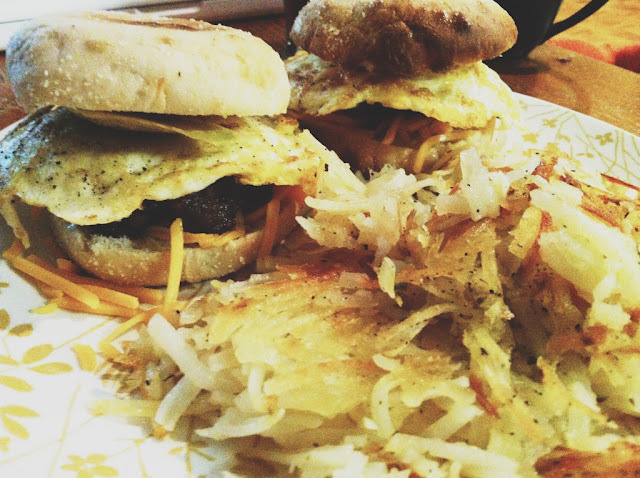 That night, we had our siblings over for sausage/egg/cheese/avocado mcmuffins and hash browns. (One of my new favorite meals.) The five of us hadn't been together in a long time and it was so much fun. Saturday was pretty perfect. Colt and I spent the morning together cleaning out the garage. Yes, I said together. Normally, we divide up household tasks, but this time, I insisted on helping to get it done faster. Aside from one stressful moment of getting a ridiculously heavy bin up to the attic, we managed to work together pretty flawlessly. And now we have an organized garage with space to walk! For dinner, we had frozen pizza and salad. (Another one of our favorite meals.) Except this frozen pizza was fancy. I mean, I probably could've tricked you organic folks out there. Just maybe. We started season 2 of Downton Abbey while we ate. 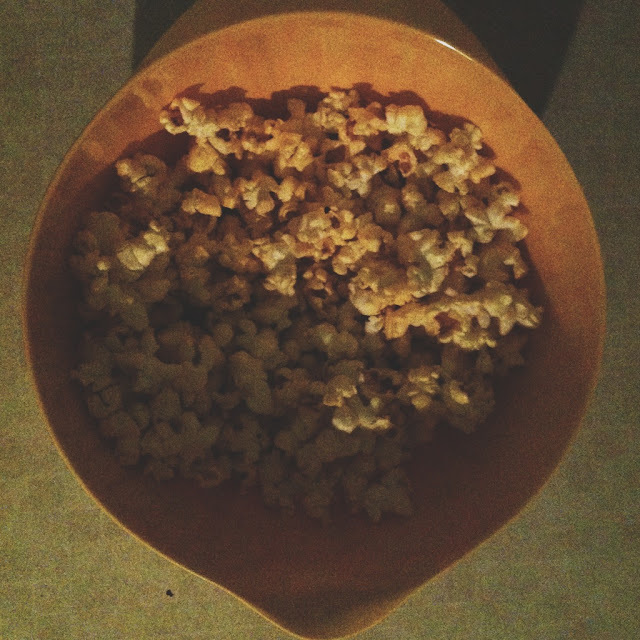 And popcorn followed. Later, Colt and I discussed that we have actually never purchased popcorn once in our marriage ... until I decided to splurge the other day and get it. We are livin' on the edge! I also got some nice cuddles in with this little guy. His top four teeth have pretty much come in within a week's time. Eesh. Although I'm sad for an Olympic-less week, I'm excited for the constant murmur of the TV to be gone!